This page includes all partner hires and senior moves between Indian law firms. You can filter moves between firms by using the 'filter by other tags' fields below. Deepak Kumar Thakur has joined L&L Partners in Mumbai as a partner in its projects practice from HSA Advocates, where he was also a partner. Verus Advocates partner Charles De Souza has started up Meraki Chambers with his team, which he is intending to be a “hybrid between a partnership and a barrister style chamber”. Boutique Mumbai law firm M Mulla Associates, which had been started in 2010 by Mulla & Mulla partner Maneck Mulla, has internally promoted one senior associate to associate partner, after having hired former Naik Naik & Company partner Anuja Jhunjhunwala as a partner in January 2019. Advaita Legal senior principal Dharnendra Kumar Rana has joined indirect tax boutique Nitya Tax Associates as a partner in Delhi. 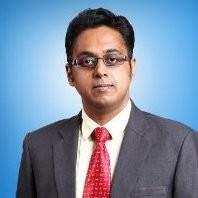 Samvad Partners has hired ex J Sagar Associates (JSA) Mumbai partner Srabonee Roy as a partner in its Mumbai office. Economic Laws Practice (ELP) tax partner Anay Banhatti has left and will be starting independent counsel practice, cementing the trend of tax lawyers choosing to join the bar in the lucrative and in-demand practice area. IRA Law, the intellectual property and litigation boutique started up by four Anand & Anand alums, has added two more former Anand & Anand partners: senior partner of nearly three decades, Debjit Gupta, and partner Geetanjali Visvanathan have joined on 1 March. Economic Laws Practice (ELP) Mumbai-based banking and finance partner Deep Roy has left the firm last week.